While it's a popular fact that the BlackBerry 10-powered devices have the ability to run Android applications, it's a less popular fact that the user experience with those applications is quite dissatisfactory. What this means is that they are often slow, laggy and unresponsive. Terrible stuff, we tell you. Part of this problem is due to the Android runtime that's used to execute the applications. Right now, it's based on the ancient Android 2.3 Gingerbread, which we all know is one terrible OS as far as user experience and responsiveness goes. But fear not! 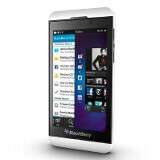 BlackBerry has announced that it's going to update the runtime to the much more modern Android 4.1 Jelly Bean. Exactly when this is going to happen is unknown, but when it does, it's expected that the performance of Android apps on a BB10 device will get noticeably better. BlackBerry is using this kind of emulation technique in order to get an early boost in the amount of available applications for its brand new BlackBerry 10 operating system. The company boasts that it offers over 70,000 apps at launch, which is a really good number, but that number would have been significantly lower, if it weren't for the Android ports. Offering these Android apps shouldn't be considered as some kind of unfair move by BB, because it is the developers themselves who have submitted their apps to BB's applications store, knowing that BlackBerry's new devices will support those apps. Sadly, it seems no one has bothered to optimize the experience for the users of those device. Let's hope that the Android runtime will be updated soon, and that this will bring a substantial performance boost. Gingerbread on a gs2 is VERY responsive and the ui is leaps and bounds ahead if iOS ray. Ya know...I actually stopped reading when I got this this part: "Right now, it's based on the ancient Android 2.3 Gingerbread, which we all know is one terrible OS as far as user experience and responsiveness goes" And had to come and comment.... Wow. That update made my Droid X1 a better phone. It was one reason I held on to it longer. Android has gotten better with each version. There is no way in hell someone is gonna tell me Android 2.3 was worse than 1.6....if you wanna talk about user experience and responsiveness...lets talk about Android 1..or..1.6. Compare that to 2.3...and lets see how you feel about 2.3. Wow... Its amazing the ways ppl describe things when it comes to these OS's....or just most things in life. Yeah, Gingerbread is probably the most stable and most used Android OS, kinda like the Windows XP of Androids. Nice way to put it! Now I got another question. What does Android devs porting Android apps to BB10 ...have to do with this? Arent they porting them to run under BB10...and not this? Someone with a lil more info on this...please help me understand.... If this is how Android apps are running on BB10 after devs ported them over.....IMO its a waste to even port them over. Ray S. , have you ever used an android 2.3 device? Particularly one with a dual core processor? It's still very very fast and responsive. Definitely not terrible. I hope for your sake that this isn't just an excuse to make yet another cheap shot at android. The amount of incidents in which the editors of this site have been accused as iOS fans and android haters is too damn high already. Why they keep trying at this? Well, gingerbread sure was horrible in my book. I remember looking at a friend's HTC Desire and liking it, and later got it for myself as a company phone. The lagginess, crashes, freezes and force-closes of that phone made my thoroughly hate both Android and HTC. If people are now saying gingerbread was the most stable of Androids... wow. And btw, isn't gingerbread still the most common Android version out there? I wouldn't say the most stable...but it wasn't as bad as some ppl make it. I still can't figure out how this guy retains employment at PA.